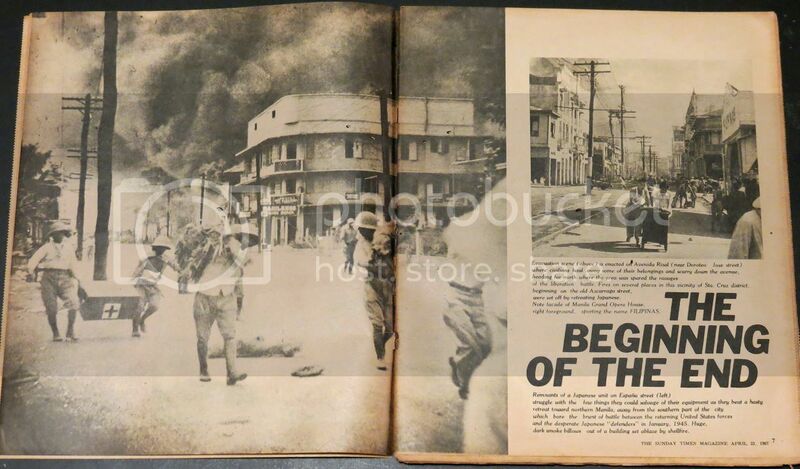 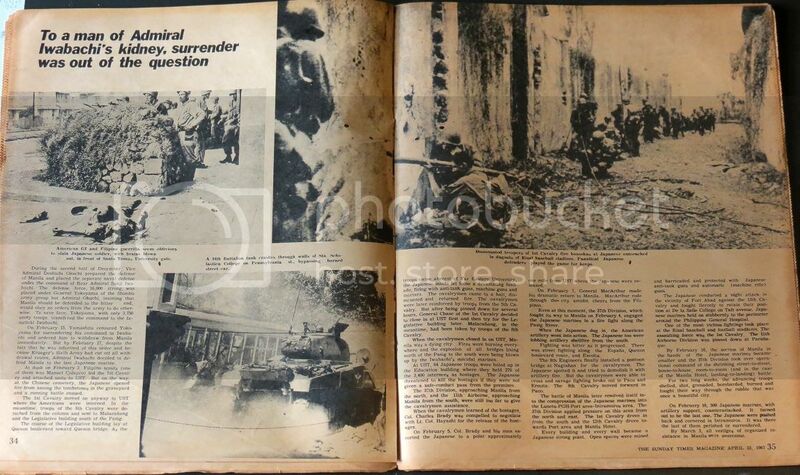 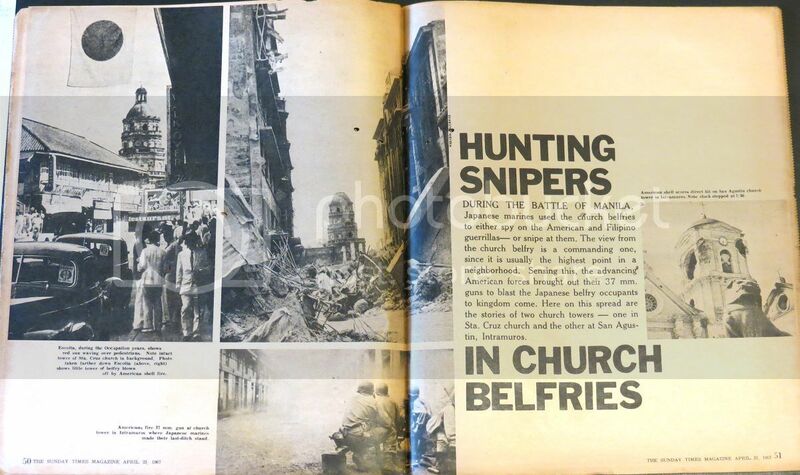 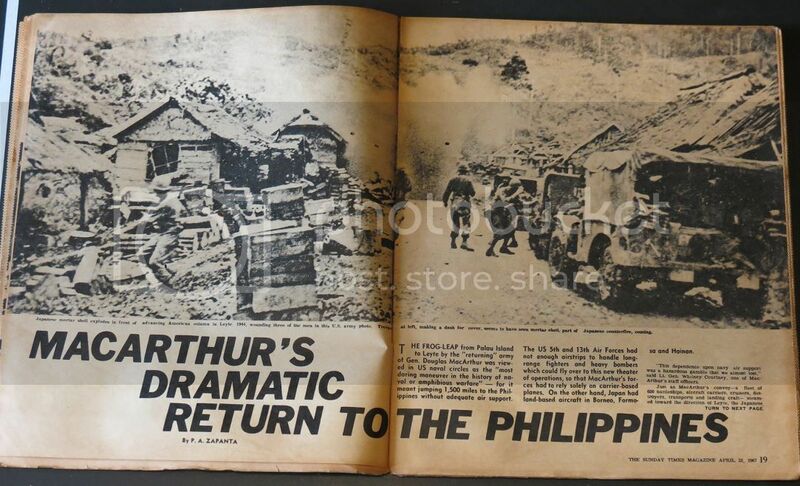 A 1967 special Philippine Sunday newspaper magazine issue with WW2 in the Philippines as the topic. 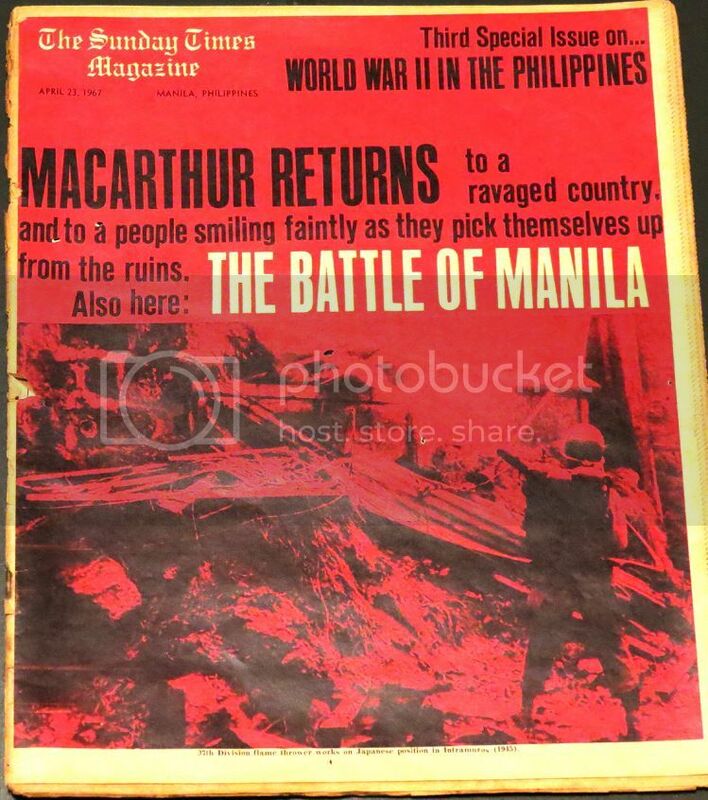 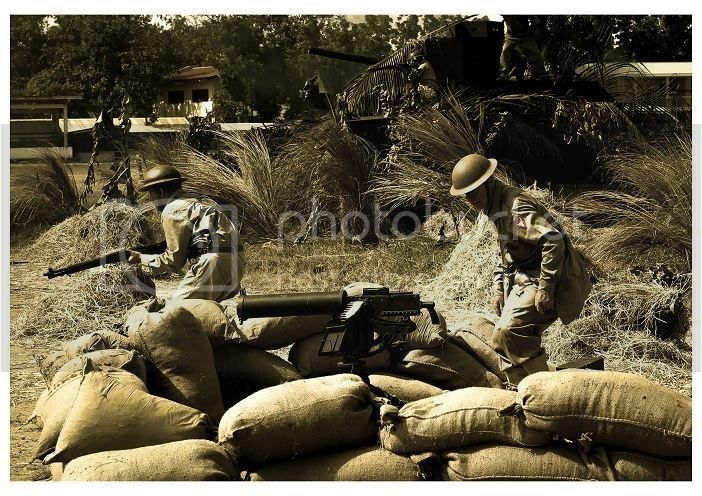 This one looks like it's the 3rd of a series and was probably in observance of the 25th anniversary of Bataan. 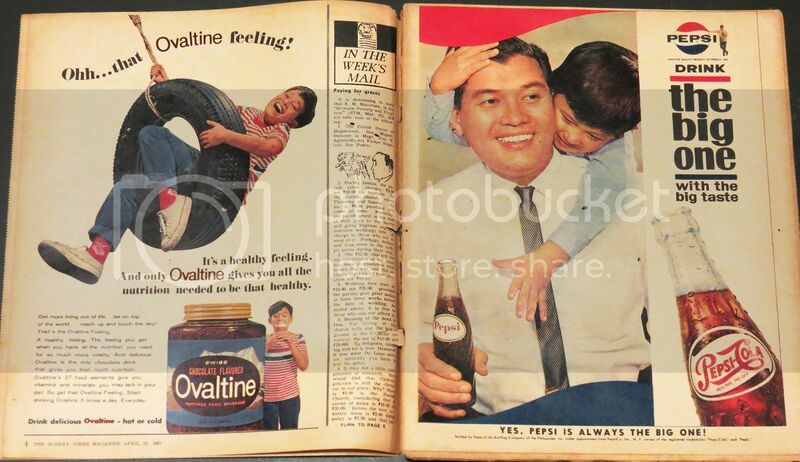 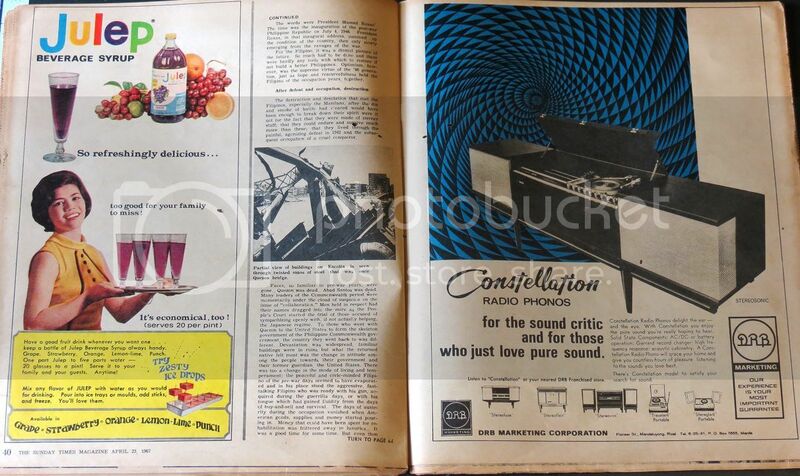 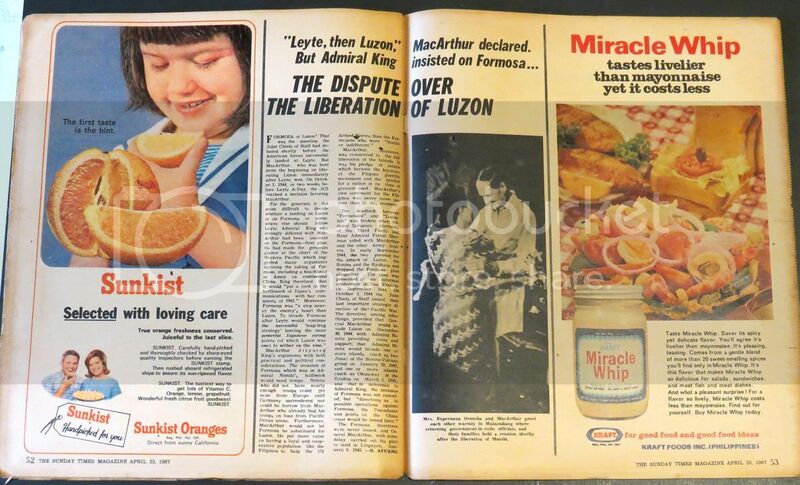 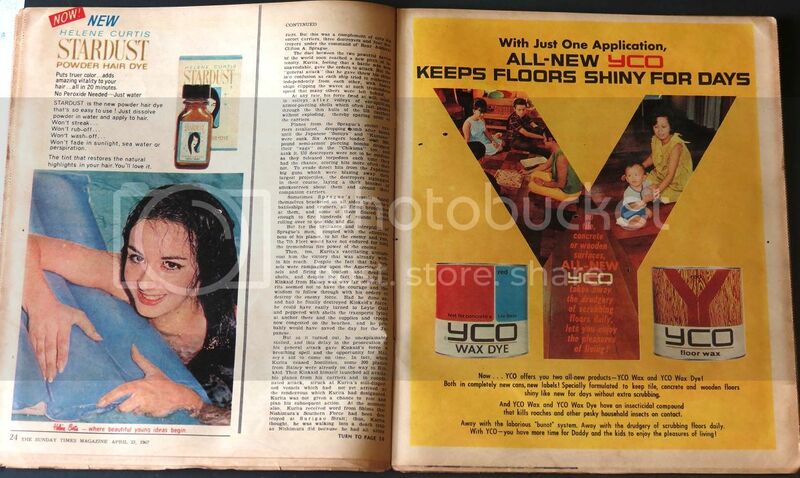 Lots of pictures and articles and 1960's era vintage ads. 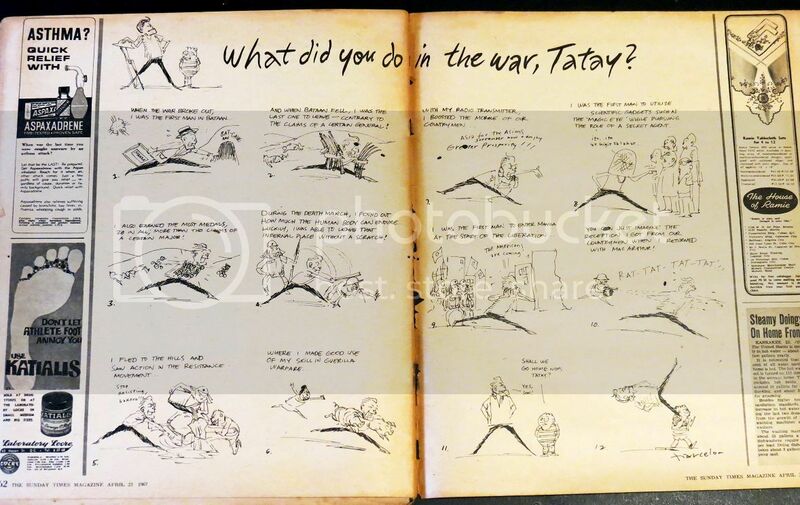 Great page on the event. 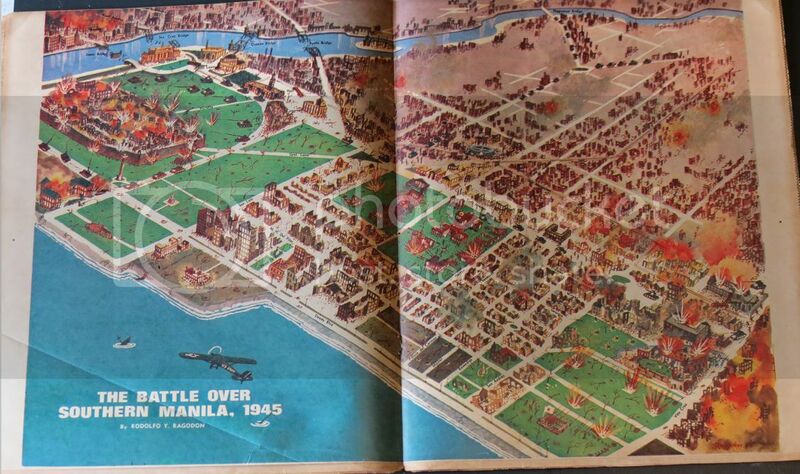 The super imposed aerial view of Nielson Field over present day Makati has the wrong orientation though. 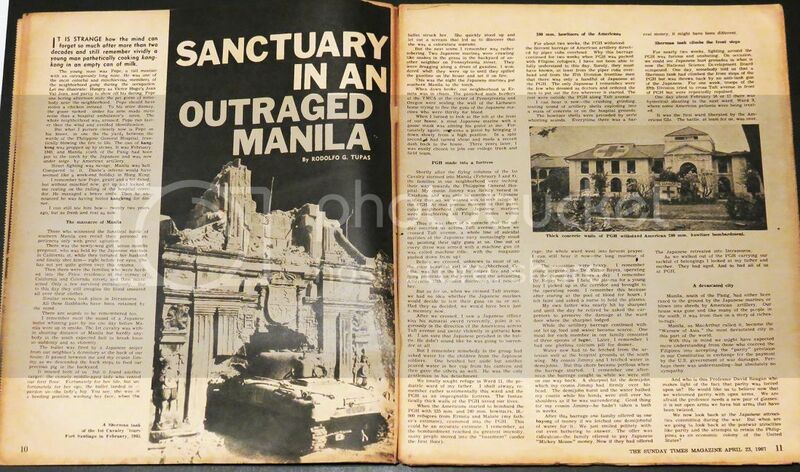 The black and white photo is facing east but the Makati view looks like it's facing west.